Happy National Donut (or Doughnut) Day! For almost 80 years now (77 to be exact) the first Friday in June has been declared Nation Donut Day – started by the Salvation Army as a way to honor the volunteers of World War I who served donuts to soldiers. Not that there needs to be a reason to enjoy these incredibly sweet and delicious treats, but, on this day enjoying them may be a little more enticing as some places will give you a free one! 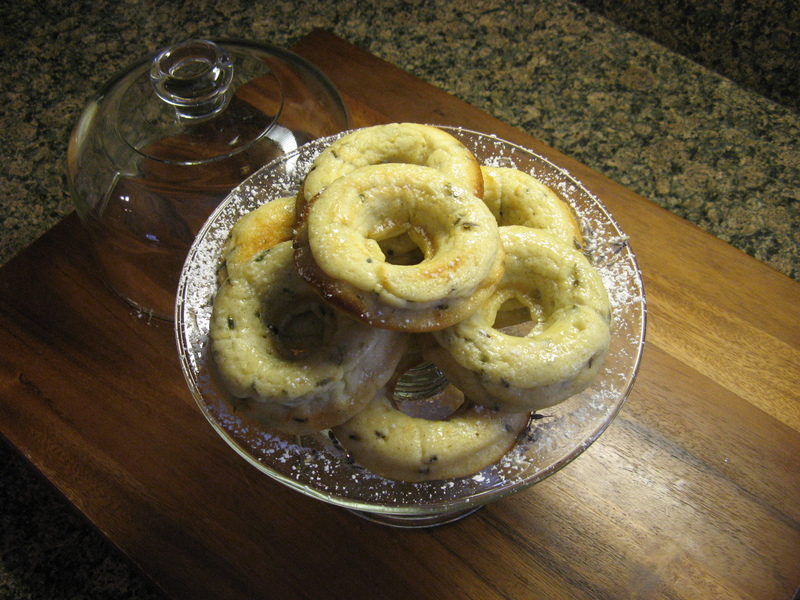 In honor of today I decided to convert a Lavender Ricotta fritter recipe I made a few years back in a cooking class into donuts. To make the batter I combined ricotta cheese, eggs, vanilla paste, sugar, baking powder and flour in the bowl of my stand mixer and used the whisk attachment to mix the ingredients. 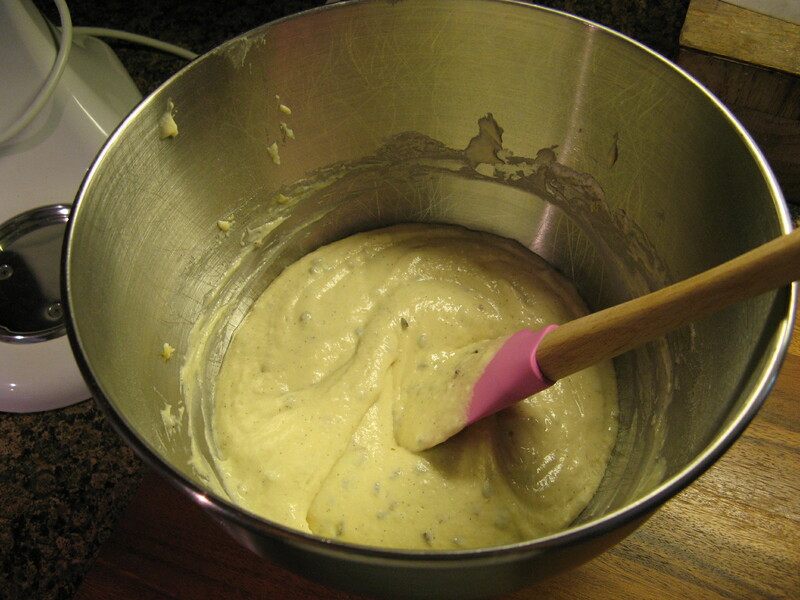 I then added in dried lavender and continued mixing the batter until it was thick. 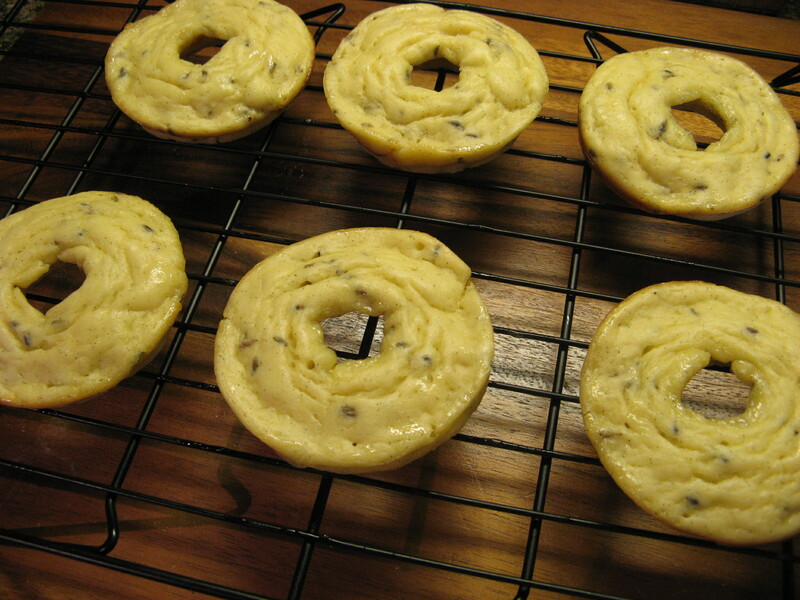 Next I used a piping bag – I just snipped the end of the bag off – and piped the batter into a prepared donut pan; I sprayed it with baking spray. I then baked them for about 15 minutes in a 350 F preheated oven. After removing them from the oven I let them cool in the pan before inverting them on a wire rack to cool completely. Final outcome… They definitely tasted good – especially after an extra dusting of powdered sugar on top – but I definitely need to work on my donut making skills. I’ll be the first to admit that they are a bit wonky looking! One other thing, they didn’t have the typical dense texture of a donut, more like the moistness of a cruller thanks to the ricotta cheese. If you like the flavor of lavender check out these other recipes I’ve made using the herb: Lavender Cupcakes with Mascarpone Frosting and Lavender Vanilla Ice Cream. With both of these recipes I was able to get the flavor of lavender into them by soaking the dried flowers in milk overnight and then straining the milk prior to using it in the recipes. 1. Preheat oven to 350 F. Prep donut pan by spraying it with baking spray. 2. Whisk together the ricotta cheese, eggs, vanilla bean paste, sugar, baking powder and flour until combined. Add in the dried lavender and continue mixing until the batter is thick. 3. 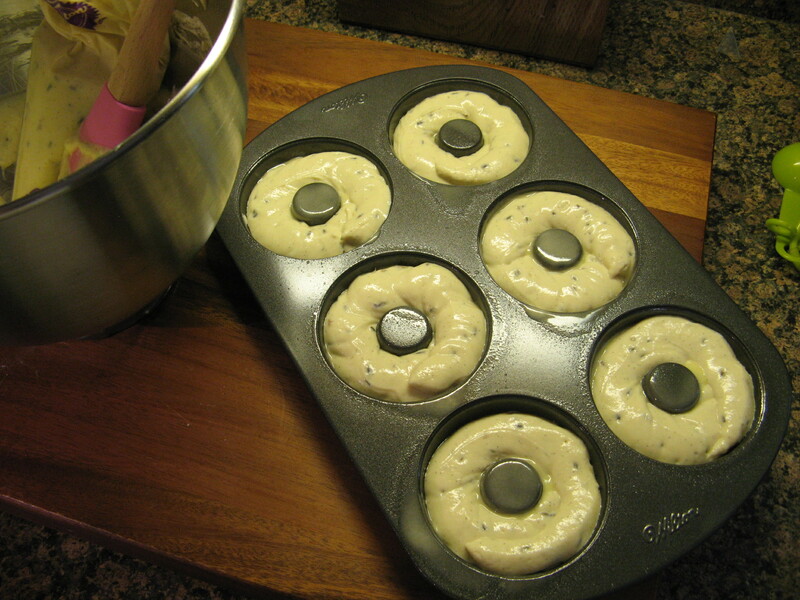 Transfer the batter to a piping bag or Ziploc bag and snip off the end and pipe the batter into the prepared pan. 4. Bake in the oven for 10-15 minutes, until a cake tested comes out clean. Let cool in the pan for 10 minutes and then transfer to a wire rack to cool completely. 5. 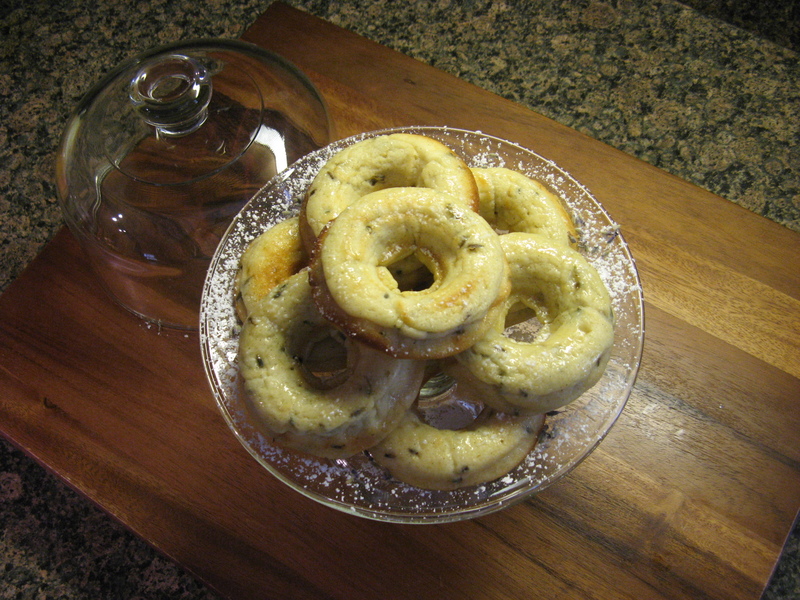 Once cooled use a sifter to sprinkle the donuts with confectioners’ sugar.